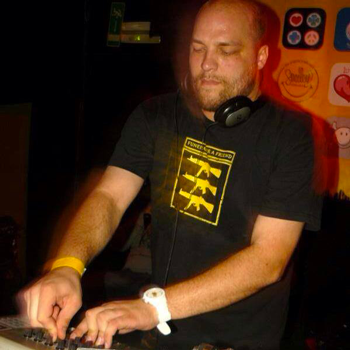 Hailing from Hasselt, Belgium, Tom Macoye (8/4/1982) got his first taste of techno during the nineties through the legendary “Teknoville” radioshow on Studio Brussel that brought the best underground electronic music of that period. Caught up in this music, at the tender age of 15 he started making beats with an old school computer. Picking up on DJing as well, he continued to hone his craft for the next few years until a local radio station invited him to play some records on air. Soon thereafter the Headroom Group, running a large array of techno labels, got wind of the new kid on the block that called himself ORTIN CAM. His very first demo recording went on to be the Provoked EP (Invasion 11) and 17 year old Ortin’s debut. At the dawn of the 21st century more releases followed on Pornographic, Invasion, Session, Traction, Corachi, Anlx, Bound, Highland Beats, In-Cycle and Sino’s sublabel Minimaxima. In those days, Ortin Cam played live exclusively, which he did often and to great acclaim at events and clubs such as Awakenings and Fabrik, resulting in a top spot at the 2006 I Love Techno festival. He was also asked to mix the accompanying compilation cd and to produce the anthem. Things got really rolling after this and releases followed on Spilo, Patterns, Music Man’s sublabel Pocket, Drumcode and Missile. Remixes appeared on Primate, Zenit, Beatdisaster, Sway and Jericho, while Ortin Cam tracks got picked up for compilation cd’s on Traum Schallplatten, PIAS and Ministry of Sound. And all of this does not even account for the many co-productions and collaborations with the likes of Cave, Bas Mooy, Charles Bells, and the Headroom team on Spilo, Planet Rhythm, Shadow Fax, Bells and Zwosh, of which the second release was used by Richie Hawtin in DE9 | Transitions. 8 years after Ortin Cam’s first release on Invasion, he started his own label ‘ROOTS’, distributed by N.E.W.S., aiming to release state-of-the-art contemporary techno tracks. Mr Cam himself and the Space DJz were responsible for the first three releases so far.